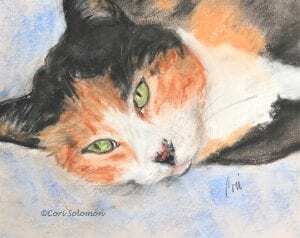 This sweet Calico cat is resting peacefully. You might say that Milly is doing what cats do best taking a catnap. This artwork comes matted.